The 1709 Blog: New animal selfie ALERT! 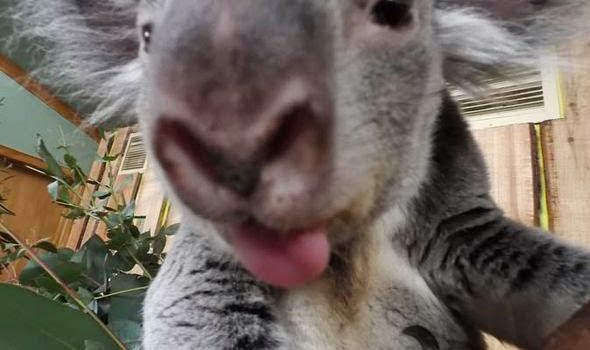 Last weekend staff at Edinburgh Zoo have managed to get a series of selfies from Koala bears which have surfaced online and in the press - and some other species also managed to get in on the act with selfie's from f penguins, rhinos, wallabys, hippos and a binturong. 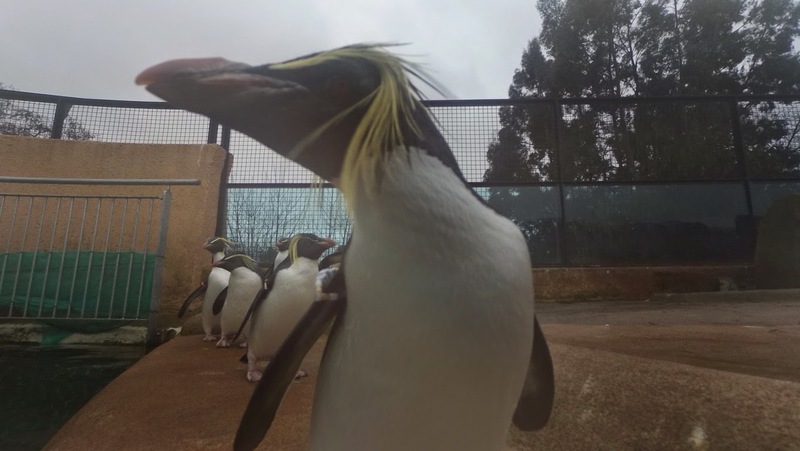 The Scottish zookeepers decided to re-enact the celebrity selfie phenomenon by placing small RE cameras made by HTC smartphones in the animal's pens. The cameras were activated by a grip sensor and started shooting as soon as they were ‘picked up’ - or touched - by the animals - "making it easy for the furry friends to get the hang of". So can we expect another epic battle along the lines of the legal claim photographer David Slater instigated? 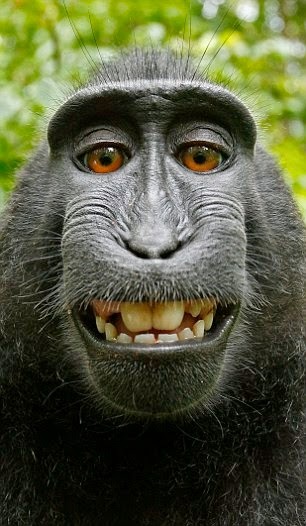 It was Slater whose camera was seemingly stolen by a black macaque monkey. You will remember the monkey then took some selfies - but further use of the snaps prompted Slater to take on Wikipedia who published one photo without Slater's permission. Interestingly the Edinburgh Zoo photos, posted on the Express website, seem to have a credit (possibly a copyright credit) on them, and are marked 'SWNS' - which I am guessing stands for South West News Service - the UK news agency that supplies editorial copy and pictures to national and international clients. The Express also has a link to a series of other animals selfies which contain the credit 'Marcus Bird/ Barcroft media'. The SWNS website itself restricts re-use of material posted on that website but I couldn't find any koalas generated images there (although I did find plenty of other animals) nor were the zoo selfies apparent on the SWNS twitter feed - so I suspect the pictures were sent out as a news feed. The zoo pictures can be found on the Scotsman - credited to 'Hemedia', Reveal had the copyright notices of '(c) HTC' on all the shots and the Irish Examiner marks them all 'Edinburgh Zoo'. 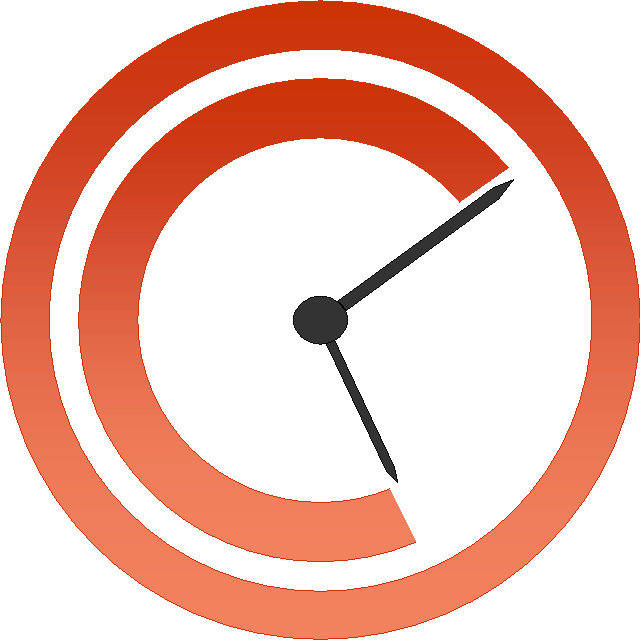 Another copyright conundrum? It seems the cameras were provided by HTC, and Ben Walsh from HTC told the Scotsman: “We know the most popular thing on the internet is funny pictures that owners take of their pets so at HTC were glad we’ve made a camera so brilliant and simple that animals can finally join us humans and start taking selfies too. With koalas taking the most pictures of themselves, expect to see their Instagram feeds full of koala selfies”. This statement, and the actions taken by the Zoo in releasing the photos, seem to indicate that the photos were freely distributed - and that they are currently free to use. Jon-Paul Orsi, digital manager for the Royal Zoological Society of Scotland, is quoted in one article saying “We do a lot of our own photography on-site and these shots offer something completely different. So, the zoo selfies (or 'zoofies') are currently being treated differently to the copyright in the case of the black macaque where Slater threatened legal action. The koala snaps seems to be being treated more like the Ellen DeDegeris / Bradley Cooper 'Oscars' selfie which prompted much academic debate - much sharing, tweeting and publication - but as far as I know, resulted in no legal actions against those who subsequently used the shot. In fact I found the webpages of London PR Firm Hope & Glory who had this to say: "It’s been a day of formidable coverage for the HTC team here at Hope&Glory.Having come up with the idea a month or so ago of handing some HTC RE Cameras to the animals (and their handlers) at Edinburgh Zoo, we got our shots back last week and it’s been all systems go making sure that the shots were to be seen just about everywhere during today" adding "The fact that we decided to hold the story until Australia Day, knowing that we had a couple of Koala shots in our armoury, was also no coincidence." So whoever owns the shots - they WANT everyone to use them! But with all those conflicting copyright notices, I still wondered what (if any) 'copyright' restrictions had been put on the koala and penguin selfies. Does Mrs Penguin get the credit? But does it matter what 'permissions' have been given or withheld anyway? Our own poll on the monkey snaps showed that 52% of 1709 readers polled thought that "there is no copyright in works authored by animals: they are a gift to humanity which we can all use" a view seemingly shared by the US Copyright Office, although 30% thought that only humans are authors so the photographer owns the copyright as the nearest relevant human". Just 6% wanted to give copyright to the monkey. Opinions on ownership of the 'Oscars' selfie ranged from the copyright being owned by Bradley Cooper who pressed the button, to being owned by DeGeneris who assembled the photo (so perhaps DeGeneris was the person who made the arrangements necessary for the creation of the work), perhaps joint ownership by all of the featured stars, owned by Sponsor Samsung who provided the phone, or owned by the Academy of Motion Pictures Arts and Sciences who staged the event and could possibly claim ownership under contractual agreements and under the 'work for hire' doctrine. But MIGHT there be more of a copyright claim on the facts here - well more than Mr Slater has or had? My own personal feeling is that the author has to be a person and that person still has to be a human (although there have been conflicting opinions on this blog). Maybe just maybe there might be a human involved in the issue of ownership of copyright here - but which human? The HTC cameras in the zoo were set up to be triggered by animal movement or touching - rather than the Macaque case where it seems the monkey actually took the photo by pressing a button and it appeared holding the camera (just like Bradley). Does HTC have a claim to ownership of copyright in the selfies? It also seems that some of the cameras were positioned to take certain shots at certain angles or with certain backgrounds in frame, and this might tend towards suggesting the person or persons who did the setting up might own a copyright. So perhaps the handlers have a claim? Or perhaps the Zoo can claim ownership as this was 'work for hire'? We also don't know about editing of any of the koala selfies (eg by cropping, colouring, re-positioning): if there has been editorial input, this might again pass a copyright to a human. Mr Slater belatedly let it be known that he had set up the camera the monkey used - and had also amended the shots as he sought to establish ownership of the macaque snapped selfie. But so far, to no avail; but maybe things are different here? So maybe here IF copyright became as issue it IS possible one or more persons might be the author. These conclusions may (or may not) not be agreeable to the 5% of our readers who felt that with the black macaque snap, "Whichever human gets to it first can keep it, just like any other bona vacantia" or those who commented on earlier blogs - or the 4% who felt that "The United Nations should set up a special agency to own and control uses of all non-human works like this" or the aforementioned. And I have to disagree with the 6% of readers who felt "The monkey owns the copyright: she's the author, after all". It seems unlikely is that Mr Penguin or Mrs Koala will be an author in the United Kingdom anytime in the near future - and I am still of the opinion that there is no copyright in works authored by animals and that "they are a gift to humanity which we can all use" although the efforts of the campaign group Nonhuman Rights Group, whilst unsuccessful in New York and Austria, were more successful in persuading a court in Argentina to allow a claim for habeas corpus for Sumatran orang-utan Sandra - who had been born in captivity and was being held at Buenos Aires Zoo - finding she deserved the basic rights of a non human person. So maybe a monkey (and koala) copyright soon! Binturongs are a species of, errrm, bearcat from South East Asia by the way - but what you may ask is a 'Lert' ? Well, there I cannot help - I can't even discover what species it is. I need a nicely illustrated Wikipedia page to tell me. I live in hope. 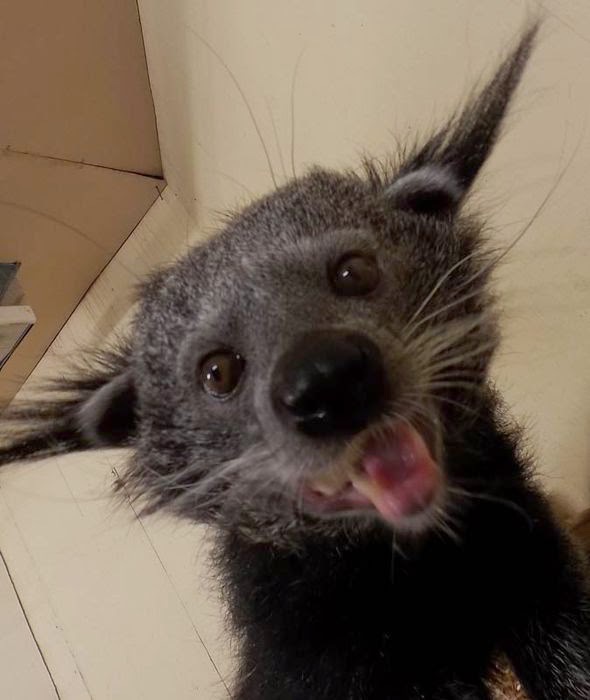 Binturongs, as well as being selfie-obsessed, are slippery creatures. Not only do they walk a fine line between 'bear' and 'cat' (technically they are viverrids), but they are among the most accomplished escape artists in captivity. On separate occasions, binturongs have gone on the lam from Melbourne Zoo and (Steve Irwin's) Australia Zoo in Queensland. More importantly, however, koalas are not bears! Binturongs are far more closely related to bears than koalas. There is no such creature as a 'koala bear'. 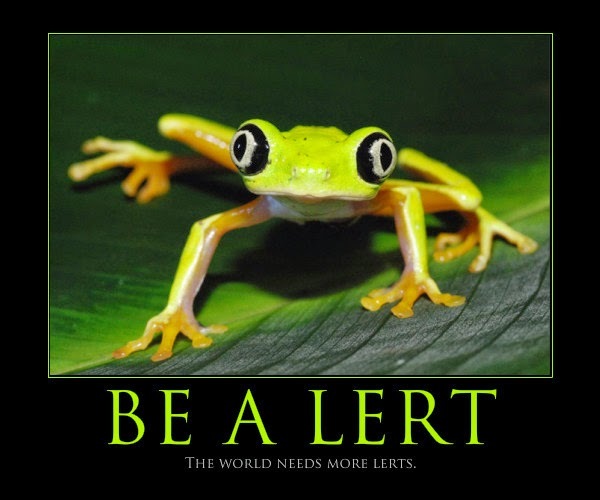 If there were, it might be two metres tall, weigh 200kg, and inclined to leap on you from a tree, rip your arms off, and then stuff them in its pouch to have later as a snack. And I would own the copyright in all photos of it! Thank you so much Mark: but I am wondering if you are obliquely referring to that near mythical Australian beast - the DROP BEAR - those unusually large, vicious, carnivorous marsupials related to koalas (although I accept the koala is not a bear) that inhabit treetops and attack their prey by dropping onto their heads from above. Let's be clear here. Nobody has ever seen a drop bear. Or, at least, nobody has ever seen one and lived to tell the tale! I was endeavouring to describe a fictional creature even larger, more vicious and more bear-like than any drop 'bear'. It is possible that some reported drop bear sighting are misidentified yowies, or one of Australia's many phantom cats. The greatest mystery, however, is why Australia requires so many mythical deadly animals, when the country is already home to the world's most venomous snake, one of the world's deadliest and most alarming spiders, the 'most lethal jellyfish in the world', far and away the highest number of shark attack fatalities on the planet, a small killer octopus, and one of the world's most venomous (and ugly) fish. Frankly, it's a wonder there's anyone left alive here at all. PS This comment is not sponsored, approved, endorsed, or otherwise associated with Tourism Australia!